I’m not a spicy food aficionado by any means – I fancy a touch of heat on occasion, but I don’t go crazy for chili peppers or wild over wasabi. I snagged a bottle of Sriracha before it was cool, but I’m not sure I even finished it, and I’ve yet to buy anything Sriracha-flavored since. 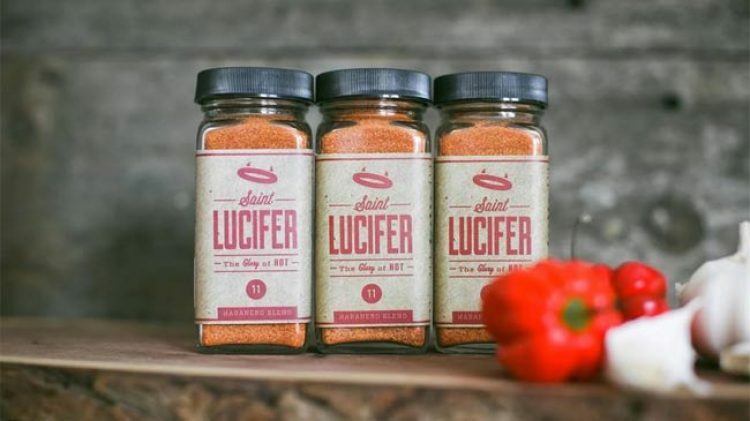 So, when an editor asked me to interview the founders of Saint Lucifer Spice, a dry spice blend based out of Philly, I was trepidacious. Though I’m open to trying anything new, and always up for shining a light on great local food businesses, I was afraid my taste buds wouldn’t be up to the challenge. Though it’s delicious simply sprinkled over popcorn or nuts, this is my favorite recipe so far: St. Lucifer Spice Sweet and Spicy Candied Nuts.